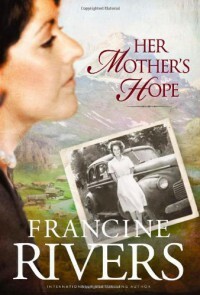 I'm a huge fan of Francine Rivers, but not all her books are necessarily for everyone. This book made me cry in several places, but at other times I just felt like an observer tugged along as we skimmed the surface of someone's life. It wasn't a "page-turner" but it was moving and told the story of people that I definitely believe could have lived. There were several times I wanted to shake all the main characters. I don't know if I recommend it or not... I guess if you have issues with your mother, this might help you try and understand both perspectives. It was interesting, but I'm not overly anxious to read the sequel. However, as far as Christian fiction goes, you won't find better than this. Rivers writes REAL people with REAL flaws and doesn't pad her writing with preachy fluff, but she always manages to convey a deep spiritual meaning.